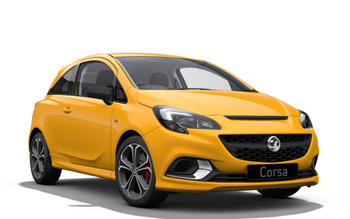 Vauxhall Corsa Gsi with Motability. "The experience at Wilson & Co Grimsby was fantastic because as a first time buyer they were really good and patient with me and my partner as we struggled to make a decision. They were great at reassuring me all the way through. Service was great. Would d..."
"I'd definitely recommend Wilson & Co Scunthorpe to friends and family because Matt was fab (apart from forgetting to sort the drive away insurance!). Very friendly and down to earth. Had a laugh and he made buying my first “proper” car a breeze. Thank..."
"I'd recommend Wilson & Co Scunthorpe because I found the whole process extremely easy and headache free. I was very lucky to have a fantastic sales person who kept me updated every step of the way and worked tirelessly to find me a vehicle that matched my..."
"I'd recommend Wilson & Co Scunthorpe to anyone because I found the my ideal car at a competitive price and because the staff were extremely helpful, friendly and very professional. A special thank you to Raggi. He made the whole experience enjoyable - a p..."
"Wilson & Co Scunthorpe were fantastic because Jess and trainee Jack were superb. They helped me find the perfect car for my needs and both were professional and courteous throughout. It was no problem to transport me to the garage and home and make me fee..."
"Wilson & Co Scunthorpe were fantastic because Jessica Showler listened to all our requests and expectations of what type of car we wanted/were looking for and provided the best service and information with clear details at every step. Very, very happy wit..."